Mogno is a village in the Maggia Valley in Ticino, located at the top of Val Lavizzara, where the river Maggia runs. 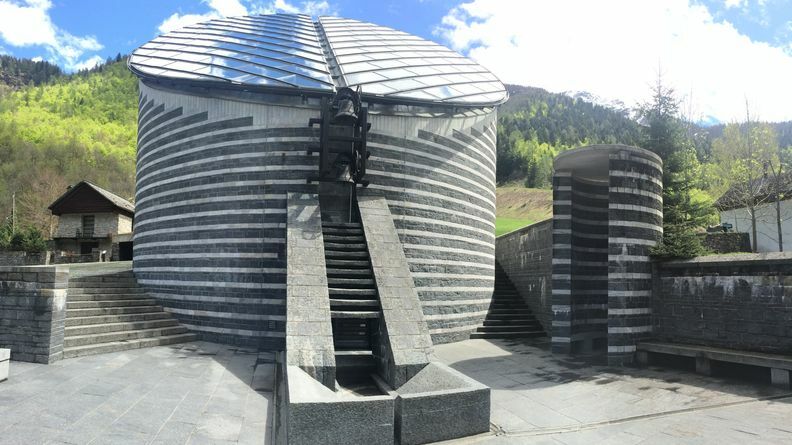 The cylindrical church of San Giovanni Battista, which is located in the town of Mogno, is a popular destination for tourists in the valley and an example of modern architecture in granite and marble, designed by the Swiss architect Mario Botta. The ski resort of Mogno, located in the village of high Lavizzara in Vallemaggia, it is only 30 km away from Locarno and easily reached by car or bus. The whole valley is served by postal bus companies providing excellent service both in summer and winter. Coming down to the valley you can find many quaint shops, without neglecting “grottos” and restaurants where you can taste typical dishes from Ticino. Come and visit us in Switzerland. The staff of Antica Osteria Dazio is waiting you.